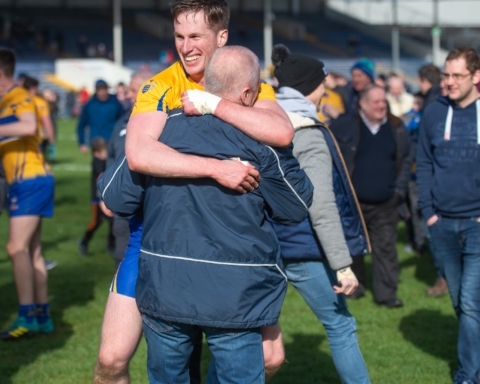 In the cut and thrust of Division 2 football, Clare cannot afford to make basic mistakes if they want to be successful manager Colm Collins outlined. 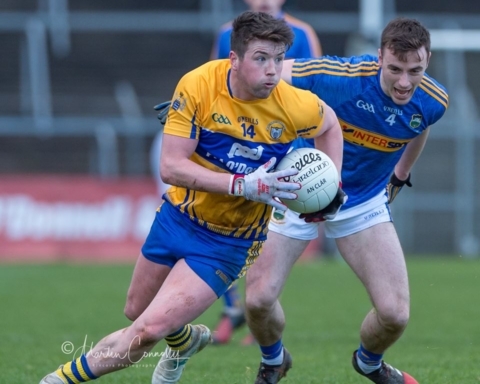 Speaking following Sunday’s five point defeat to Meath, the Kilmihil native lamented their second half showing in which they failed to score from play even though they had the aid of a strong breeze. “It was a very disappointing second half, we thought we played pretty well in the first half. 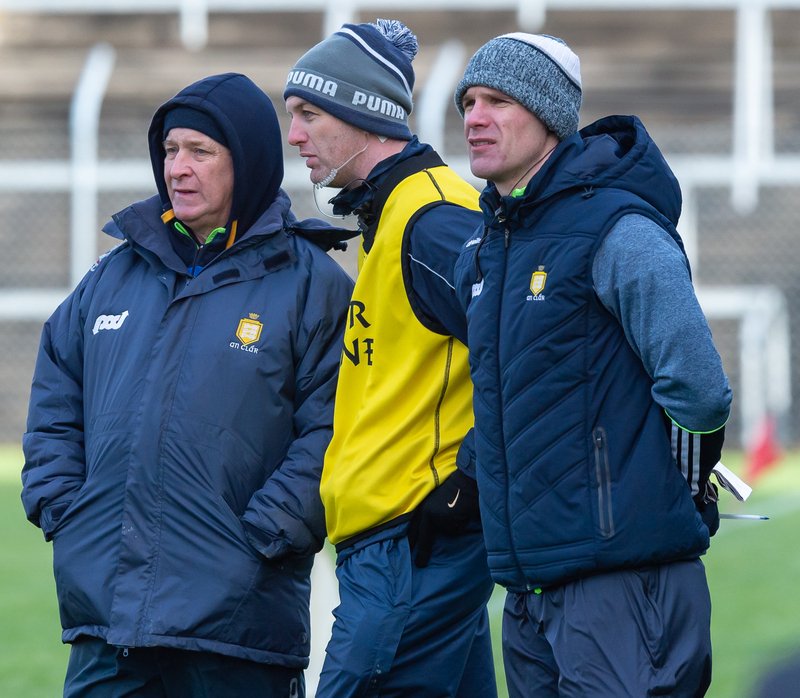 We were going in in a great position with the wind advantage but we’d a very poor second half, Meath dictated for the second half and three scores in thirty five minutes just tells it all”. 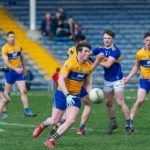 Collins admitted the Meath fixture was one they identified from the outset as being a strong indicator as to how their season was progressing. Referring to an intercepted pass from Kilmurry Ibrickane’s Keelan Sexton which led to Graham Reilly’s goal that put the Royal County in firm control, he said, “I felt we made some very silly errors, when you open the door for decent teams like that by making silly mistakes they punish you and that’s what happened. We just didn’t follow up on that first half display at all”. His Meath counterpart, Andy McEntee was impressed with the opening half display from the home county. 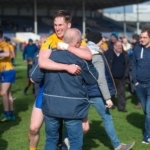 “I think Clare played all the football in the first half and maybe sometimes depending on the style you’ve got carrying the ball into the wind is better. 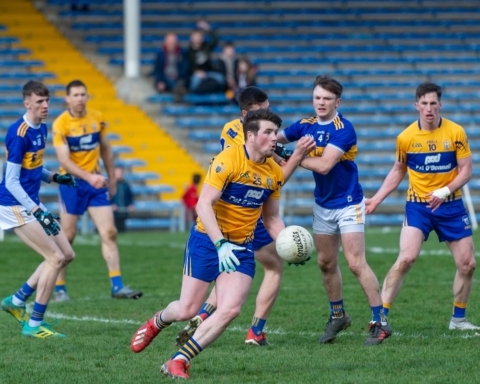 Clare looked very dangerous in the first half, we looked a little bit lethargic whether that was down to hanging around for forty eight hours before the game maybe that had something to do with it but the lads dug in”.